Hello my lovelies and welcome to my new post! It is the time of year when we are slowly getting out of the winter wedding season and going straight into spring wedding season and prom season as well. Every spring and summer there are so many special occasions going on for all of us. And the best part of that is, of course, choosing just the right outfit and the perfect dress for that event that you are attending. That is why today's blog post topic is excellent for all of you fashionistas. We will be chatting a bit about where to get your perfect outfit online! The store I will be telling you about today is called PROMSHOPAU.COM and there you can find everything when it comes to perfect dresses. They have a wide selection of prom dresses, wedding dresses, bridesmaid dresses and so on and so forth. The best part of the offer of this store is that you can get a perfect dresses for your needs and also stay on your budget, because the price range starts at very affordable prices. I also love that most dresses are available in many colors and sizes so the choice is really big. I picked out some of the dresses that I particularly liked on this site. 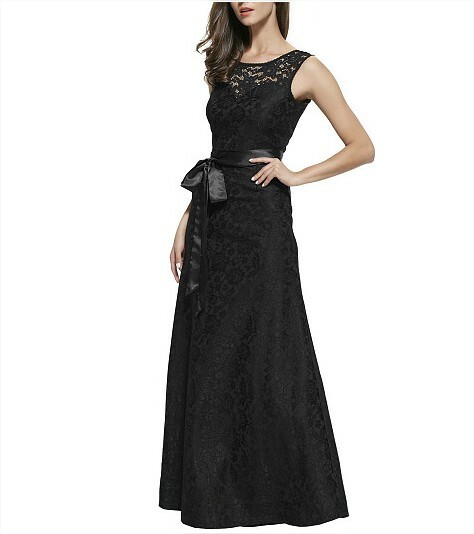 I am a big fan of long elegant gown and I think that they are a hit for any special event in your life. I love this coral pink color that is so trendy right now and ultimately girly but I also very often go for a perfect simple black gown that fits every body type. Please let me know what are your favorite dresses from this online store. Do you often shop for dresses online? What do you think of this store my lovelies? Let me know!